For me this became a requirement as my trackpad started malfunctioning. But it can be a useful feature as well. 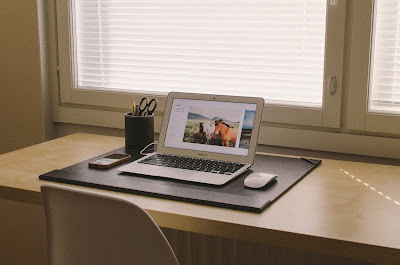 When we connect a mouse we would not want trackpad to work. For eg. lets say you are playing counter strike with a mouse you definitely don't want trackpad to change your aim in game. So it would be better if you disable in build trackpad while mouse is connected. In this post I will show you how you can do this. 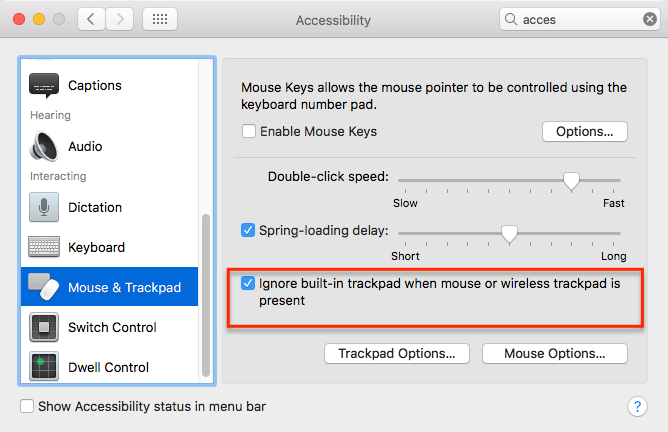 Here you will find a checkbox saying "Ignore built-in trackpad when mouse or wireless trackpad is present". Click it and make sure you have checked it. Setting should take effect immediately. Here again you will find the same checkbox. Check it and you should be good to go.